Grand Mesa National Forest, Colorado. This one is my favorite of the gallery. 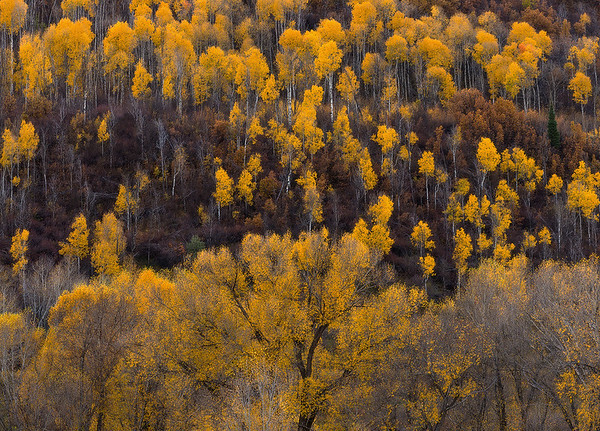 The way the cottonwoods lord over the army of aspens beyond. It feels like I'm backstage at a concert of fall colors looking out into the crowd.